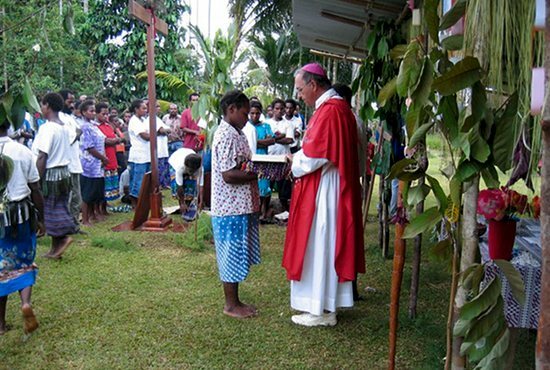 But, thanks to support from the Society for the Propagation of the Faith, the Gospel is flourishing in the diocese, which contains many remote villages. It has been a challenge getting the funding for important projects, which is why society dollars are so important. Areas of need for the mission diocese include formation of seminarians, catechists and prayer leaders, building village churches and buying dinghies with outboard motors to transport medicine, goods and people who are sick.